JSC Proton-Electrotex is the Russian leader in the design and production of power semiconductor devices, including diodes, thyristors and IGBT modules, as well as coolers, power assemblies and measuring equipment. The company is located in the city of Orel and delivers products through its affiliate and distribution network throughout the world. On April 7–9, 2019 Proton-Electrotex held a technical seminar in Moscow, Hotel Vega. 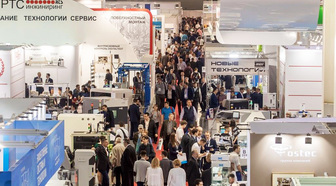 ExpoElectronica is the largest international exhibition of electronic components, modules and systems in Russia. It will take place on April 15-17 in Moscow, Crocus Expo, Pavilion 3, halls 12 and 13. On March 12, 2019 Proton-Electrotex organized a technical seminar for its partners in Saint Petersburg.